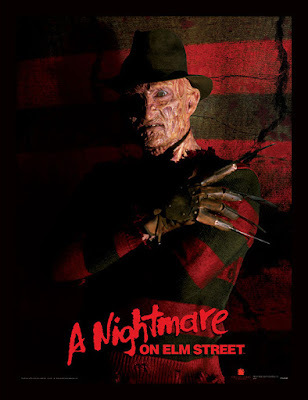 Created by Wes Craven in 1984, A Nightmare On Elm Street is not only considered a quintessential watch by horror fans worldwide, it also stars one of the most recognizable bad guys in the genre: Freddy Kruger. If his visage didn't instantly pop into your head, my acrid acolytes, you must've been living in a cave since the seventies! There are nine movies in the franchise, including a crossover with Friday the 13th and a re-boot of the original in 2010. There are rumours that New Line Cinema will be doing another re-boot for 2019, but no official statement has been released. A Nightmare On Elm Street franchise doesn't just end with movies, however. There are comics, its own series of novels, appearances in compilations, and short stories. The character of Freddy Kruger has become so popular, in fact, that it spawned a short-lived television series staring Robert Englund as Freddy himself, aptly named Freddy's Nightmares. It had 44 episodes and ran from 1988 to 1990. Not only has Freddy freaked us out in films, on television, and in literature, he's also become a nightmare staple of our pop culture. You can't go into a costume shop at Halloween and not see Freddy attire, from his famous hat and sweater to his gloved "razors for fingers." There are Freddy dolls, lunch boxes, folders, t-shirts, etc. Basically, wherever pop culture items are sold, A Nightmare on Elm Street is there somewhere. Freddy, isn't just in your nightmares anymore, Freddy is everywhere - even in Funko Pop cereal!